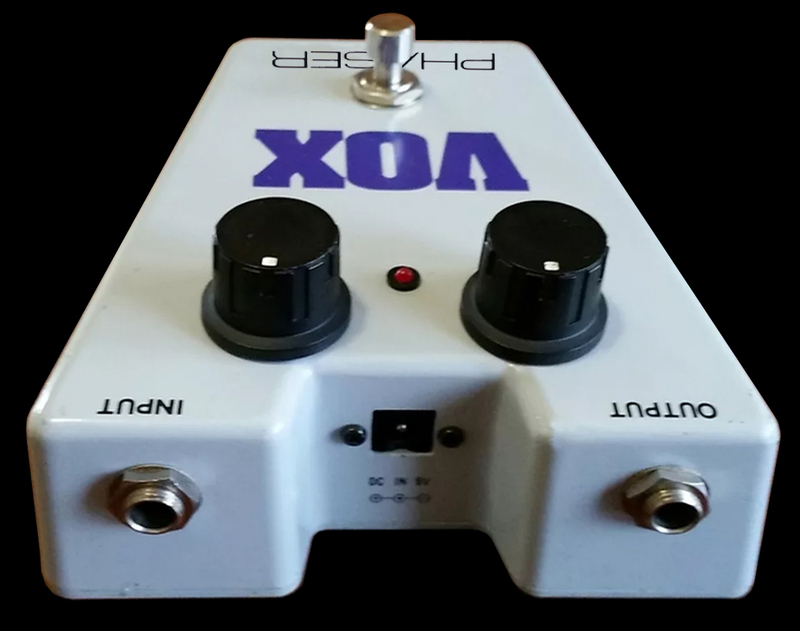 The Vox Model 7000 (sometimes labeled Model 9000) Phaser Pedal was introduced in the 1981 "Vox: Born Out of Rock" product catalog and produced for Vox by Guyatone of Japan. The trapezoidal shape of the die cast aluminum case allowed several Vox 7000 series to form a curved array on the floor. The pedal operated on either a 9 volt battery or an optional external 9 VDC power supply. The pedal featured two rotary controls: Depth and Speed. A red LED illuminated to indicate the effect was in use. A pair of standard ¼" jacks served as the audio input and output. 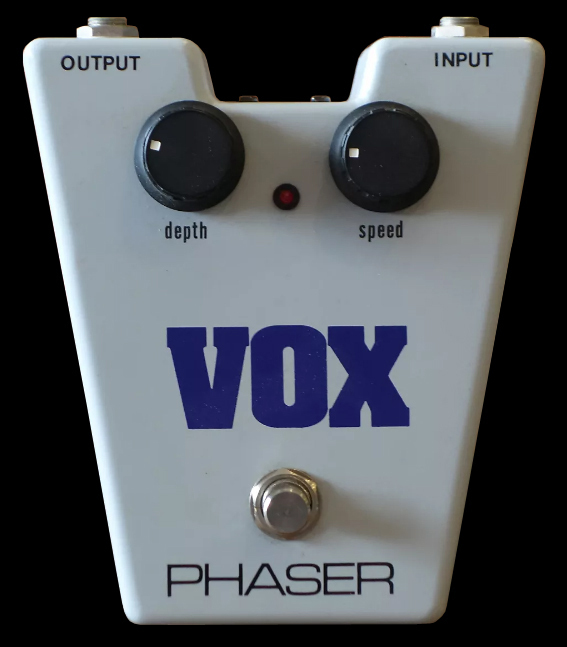 Other pedals in this series of Vox pedals included the Model 7001 Distortion, Model 7002 Flanger, Model 7003 Compressor, Model 7004 Wah and 7005 Chorus.